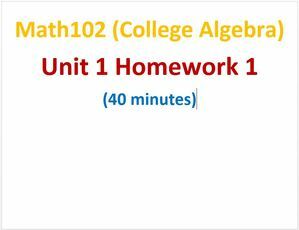 Students will be able to use exponent rules, simplify radical expressions on examinations, quizzes, and homework problems. 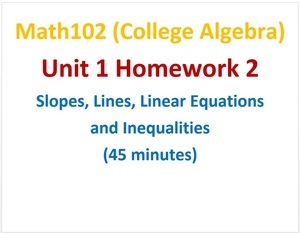 Students will be able to find the slope of a line, graph linear equations, find the intercepts, as well as solve linear inequalities on examinations, quizzes, and homework problems. 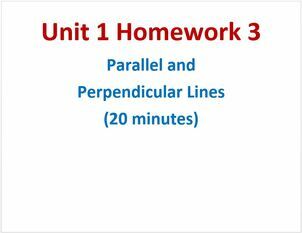 Students will be able to find an equation of a parallel or perpendicular line as well as interpret the meaning of the slope of a line on examinations, quizzes, and homework problems. 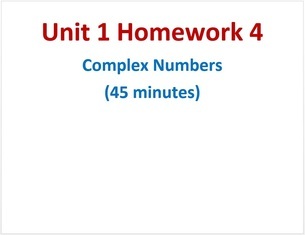 Students will be able to add, subtract, multiply and divide complex numbers on examinations, quizzes, and homework problems. 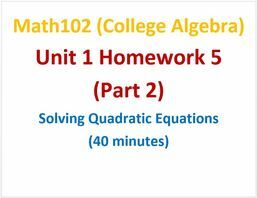 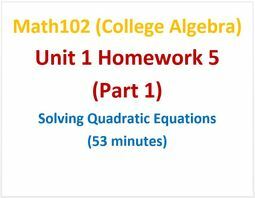 Students will be able to solve quadratic equations on examinations, quizzes, and homework problems. 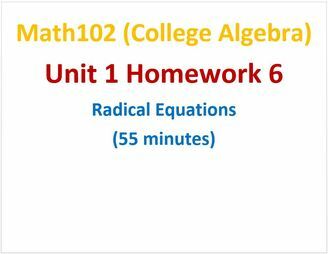 Students will be able to solve radical equations with one or two radical terms on examinations, quizzes, and homework problems. 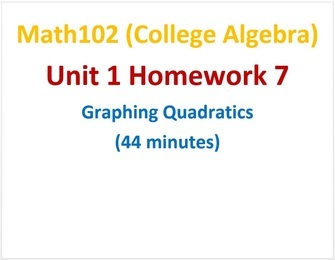 Students will be able to find the vertex, the minimum or maximum value, the intercepts, and then graph a given quadratic function and to solve quadratic inequalities on examinations, quizzes, and homework problems. 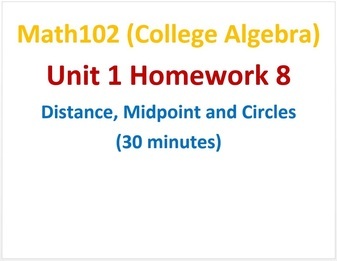 Students will learn the Distance and Midpoint formulas and will be able to graph and write equations of a circle on examinations, quizzes, and homework problems. 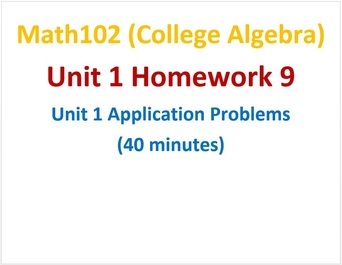 Students will be able to solve applied problems using formulas and functions as well as models on examinations, quizzes, and homework problems.